About Product : Through the sea we sail, Get to you the sea's avail- Fishes, squids and sharks, Fighting battles that the climate may charge. Yet, we come to you, As voyagers with food, We sail and sail, Through tough tides and rains. 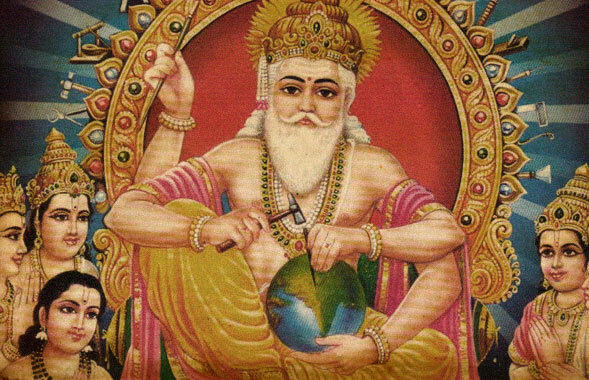 “If an image has to be made, it must be made of wax first” Vishnusamhita, 5th century AD. 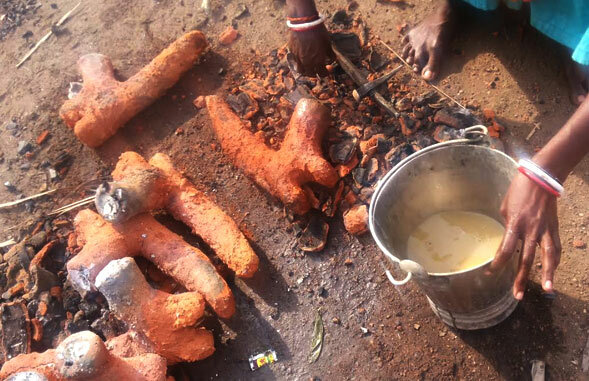 Under clouds of smoke emanating from earthen lamps, amid battered clay fragments and wax coils, a brass sculpture is in making. Though finishes are raw, the expressions- frozen, and the metal- hollow, the sculpture has a gravity of emotional & spiritual value, with forms almost verbal, narrating stories that its creator intended to. 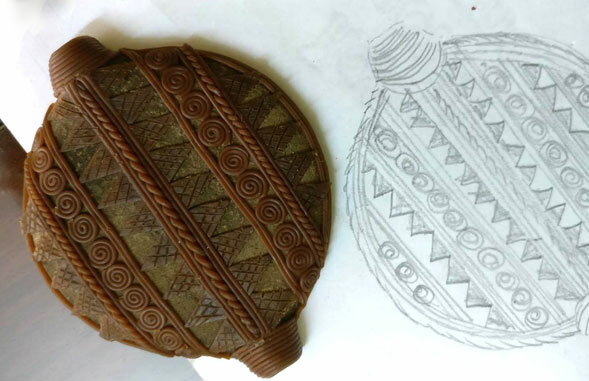 Long before faster and cheaper methods of making products came into being, the traditional metal-smith tribes of Bengal “Dhokra Damar” used to carve on wax to make ‘Bell Metal’ sculptures. 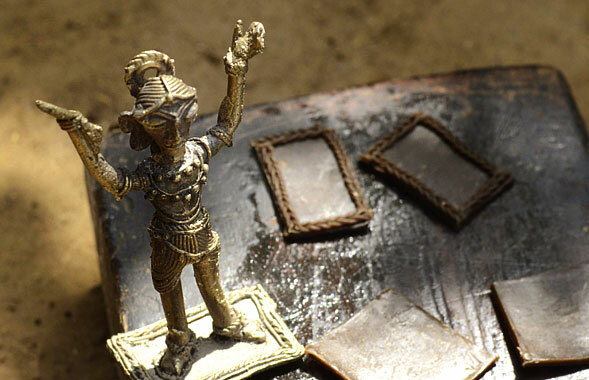 They were nomads traveling from village to village, fixing up old utensils and selling their lost-wax brass figurines. Their detailed depictions of Gods and Goddesses, intricate lamps, bells and ornaments were greatly revered. 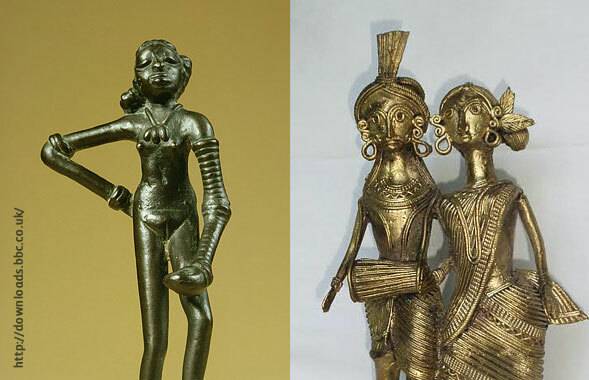 Lost wax method of casting a sculpture was first practiced during indus valley era around 2500 BC. 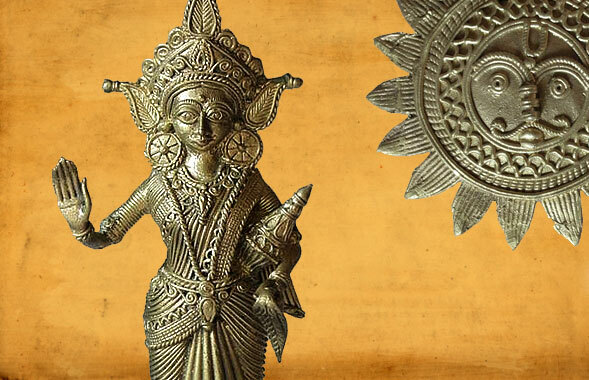 In India, the ancient scholarly work ‘Shilpshastra’ goes into the detail of metal working with alloys and casting of wide range of utilities from daily use items, sacred artworks and architectural products. Here, metal work largely derives its inspiration from religion. 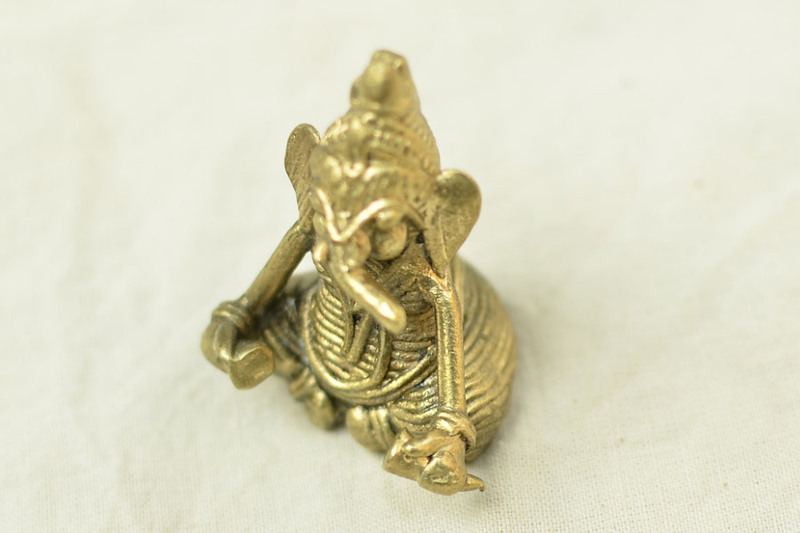 Before any artisan sits to make the figure, he prays for guidance from Tvastram (son of Lord Vishwakarma), said to be an expert in metal alloys. 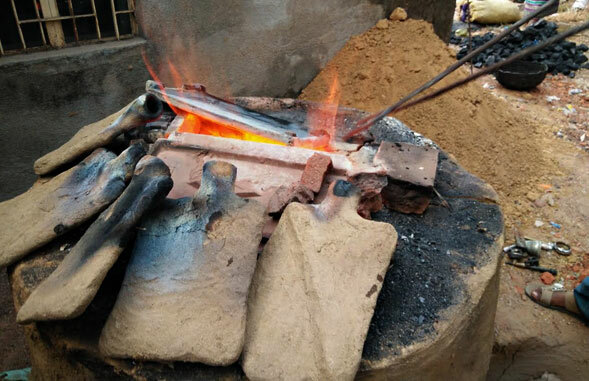 The process commences with collection of clay and mixing it with rice husk, this imparts strength to the clay to make the core for the figure strong. Once dry, a broad bean leaf is rubbed on the surface of the model for smoothness. 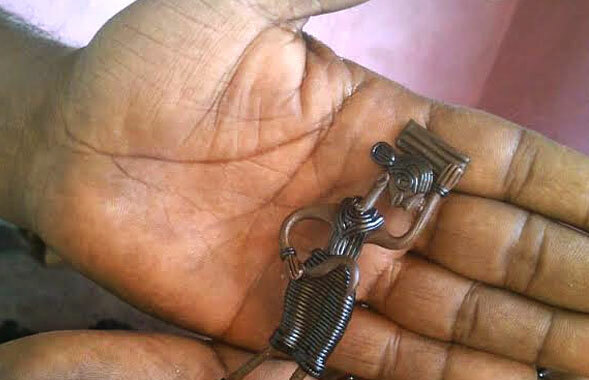 In subsequent steps, wax strands are coiled upon the core and necessary details are imparted through carving on wax. Wax being a soft and easily malleable material is ideal to achieve fine detailing. Artisans use a mixture of bee’s wax, resins from the tree ‘Damara Orientallis’ and nut oil to make soft dough. 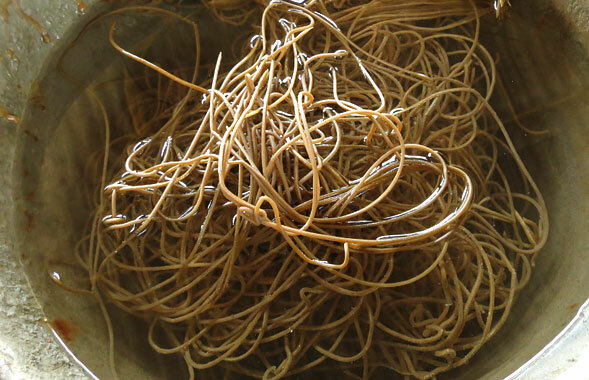 This mixture is passed through sieves to attain homogenous thickness and then rolled into long strands. 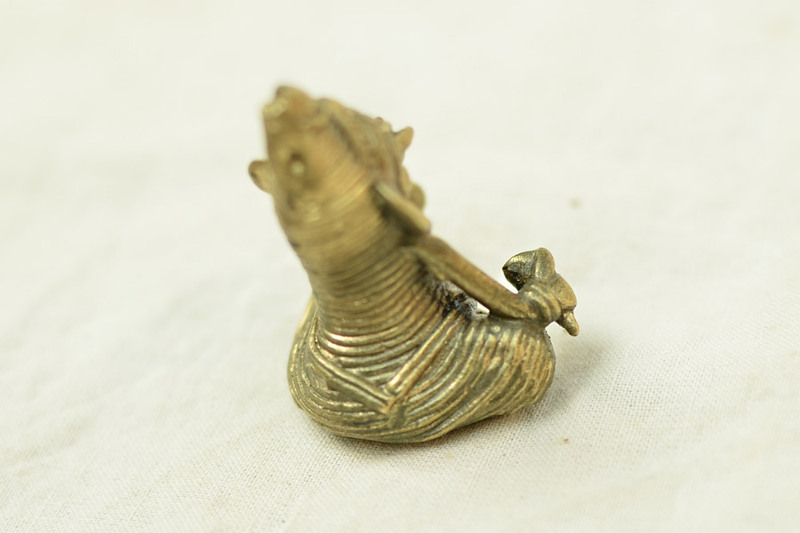 The coiling effect gives Dhokra figurines their characteristic feature. Further ornamentations are done by carving on the wax. Dry soils of sever types are then sprinkled on the wax model. Fine riverbed soil and coal dust mixture forms the first layer on the wax model, as this mixture brilliantly takes on the textures and shapes of the wax, resulting in a perfect inner wall of the mold. Second coat of red-soil and rice husk mixture is applied to it, this helps in the toughening of the outer surface. When the model is complete, two holes are made at one end and wax sticks are put into these holes to provide a passage for the molten inner wax and air bubbles upon heating. The piece is sundried and then fired in the ‘Bhatti’ (traditional kiln), the wax melts and comes out of the mould. When the entire wax has come out of the model, molten brass is poured in through the same holes. The mold is then put to cool off and the brass inside solidifies on its own. 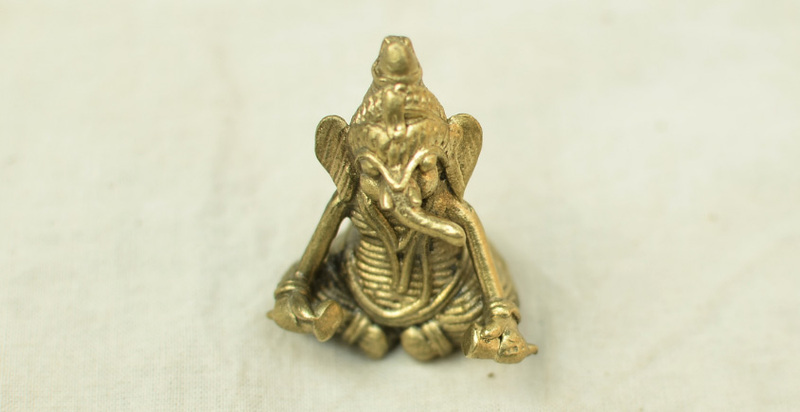 When the artisan begins to chip off the clay mold, the brass within can be seen having taken the desired form. Swami Narayan riding an elephant, Radha Krishna with their love gaze, Goddess Lakshmi are a few frequently executed themes. 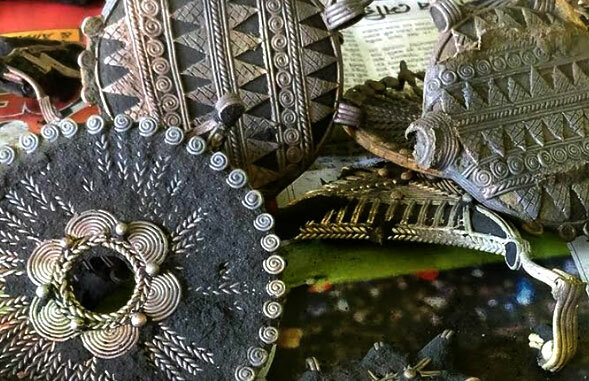 About a century ago an average Dhokra craftsman’s earning was about half of that of a skilled accountant and now the artisans of Bankura are struggling to even source raw material for their craft. And yet Dilip stands before us with his animated eyes and passionately moving hands to explain his work and new designs. With time, one can see a gradual evolution in the designs of Dokra motifs used: from those of tribal gods, to depiction of Ramayana and Mahabharata to a more modern mixture of beautiful Indian aesthetics to contemporary designs. The designs are brainstormed individually, skilled craftsmen then proceed to make these handmade jewellery from long strips of coiled wax. Then these motifs are moulded out of wax, and ‘baked’ in local Bhattis. Then these beads are incorporated to beautifully braided cotton and silk threads by groups of women to produce unique designer hand crafted jewellery. With inspiration available in aplenty, it’s up to organisations like Miharu to reinterpret, design, and create jewellery in an effort to revive the lost wax process. It took artisans, designers and weavers to do layers of work and show a lot of craftsmanship to complete the piece. Note ♦ The items in this category are non refundable but you may exchange this product with any other product from the same category. 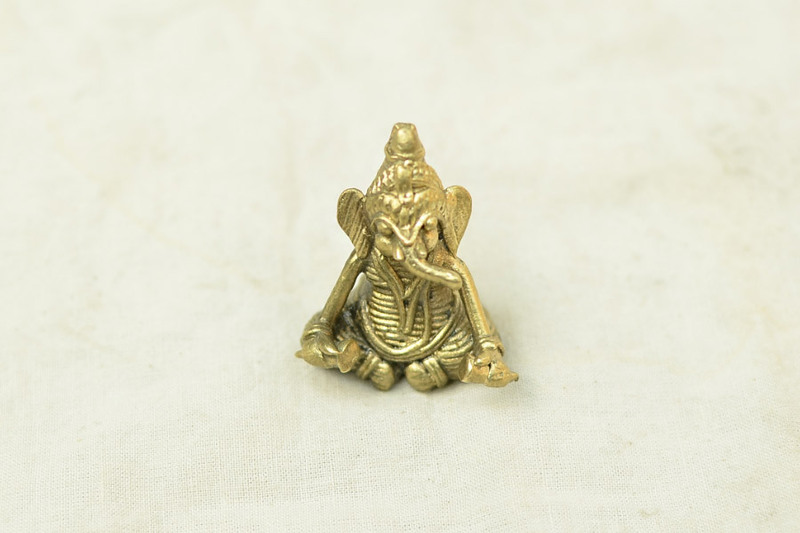 ♦ The products in this category is handmade. ♦ The product is only eligible for a refund in the case of damage or defect. ♦ Imperfections and variations in the product cannot be termed as defects, as these are intrinsic to the handmade process. ♦ These might slightly differ from as seen on digital screen.